"Little darling, it's been a long cold lonely winter"
I'm currently listening to George Harrison sing those words to me with my windows open and yes, the sun is shining. Ahhhh summer, my favorite time of the year. I know I'm *technically early* but here in Chicago you have to take advantage of the good weather the second it starts. 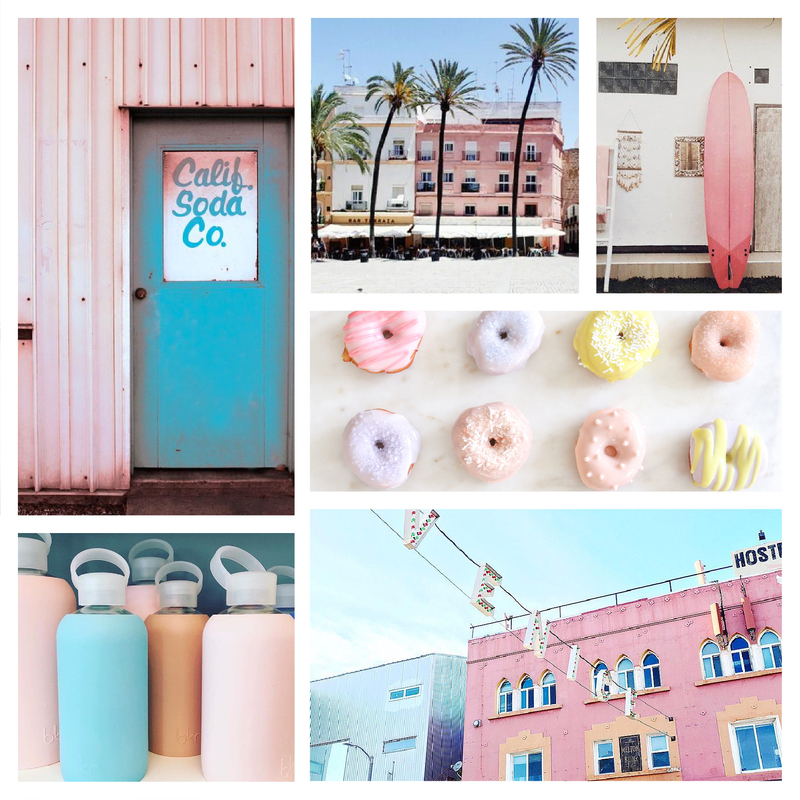 This month's mood board is inspired by California, sorbet colors, beach days and palm trees. I mean, isn't this palette just the happiest? I predict that these colors will be popping up throughout my Instagram feed for at least the next month and hope they inspire you too. "Here comes the sun, and I say it's alright"